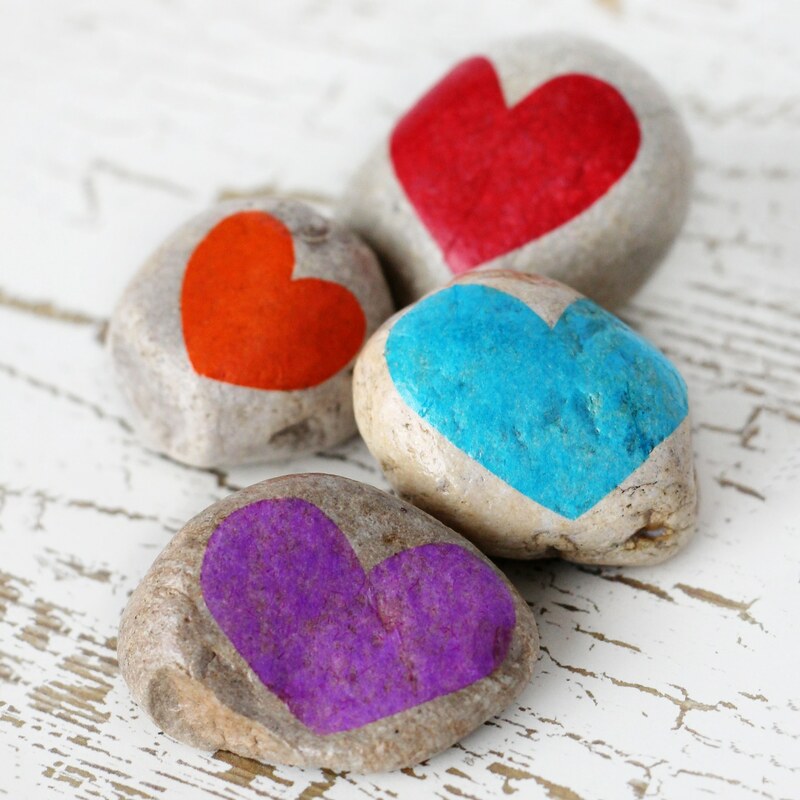 By Melissa Lennig on August 30, 2014 37 Comments. This content contains affiliate links. As an Amazon Associate I earn from qualifying purchases. 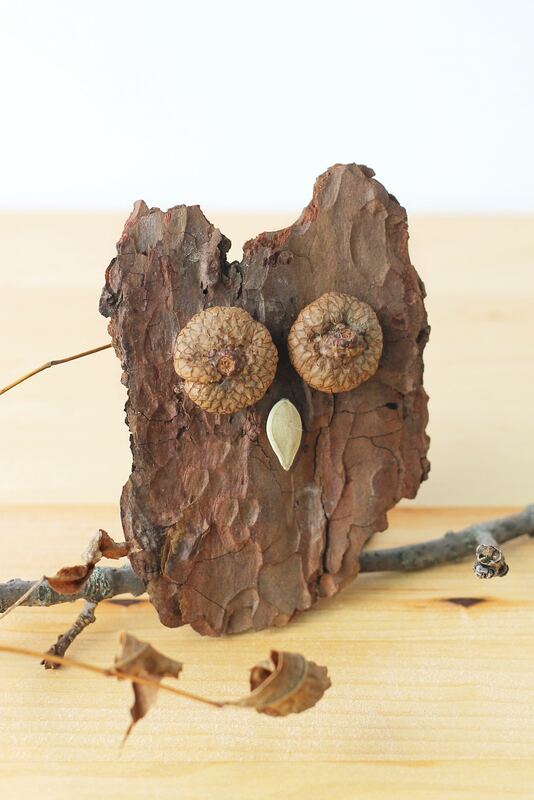 Inside: Kids of all ages will enjoy making Bark Owls from bark, acorns, twigs, and seeds after a fall nature walk. Nature is rich with beautiful, free art supplies. 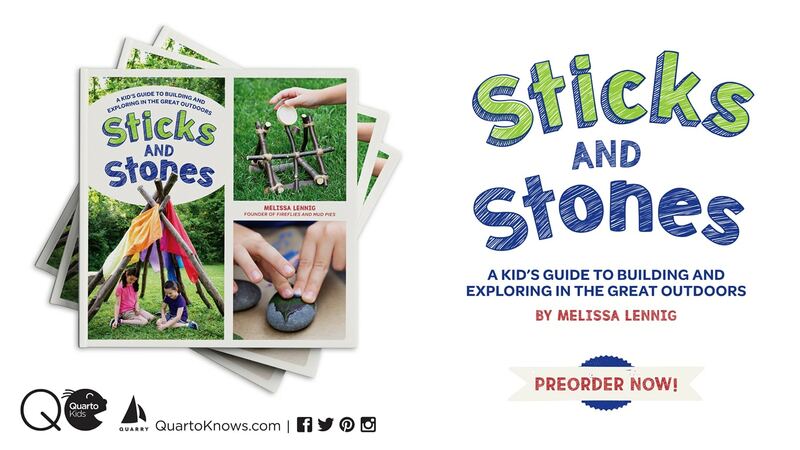 From twigs, to rocks, to acorn shells, it is fun for kids to collect and create. My children and I gathered supplies in an old coffee canister during our last nature walk with the intention of creating whimsical Bark Owls. This time of year, acorns are abundant. We gathered many, then added bark, twigs, tree nuts, and pebbles to our container. An old packet of pumpkin seeds from the garage proved to be the last supply we needed to complete our craft. 1. 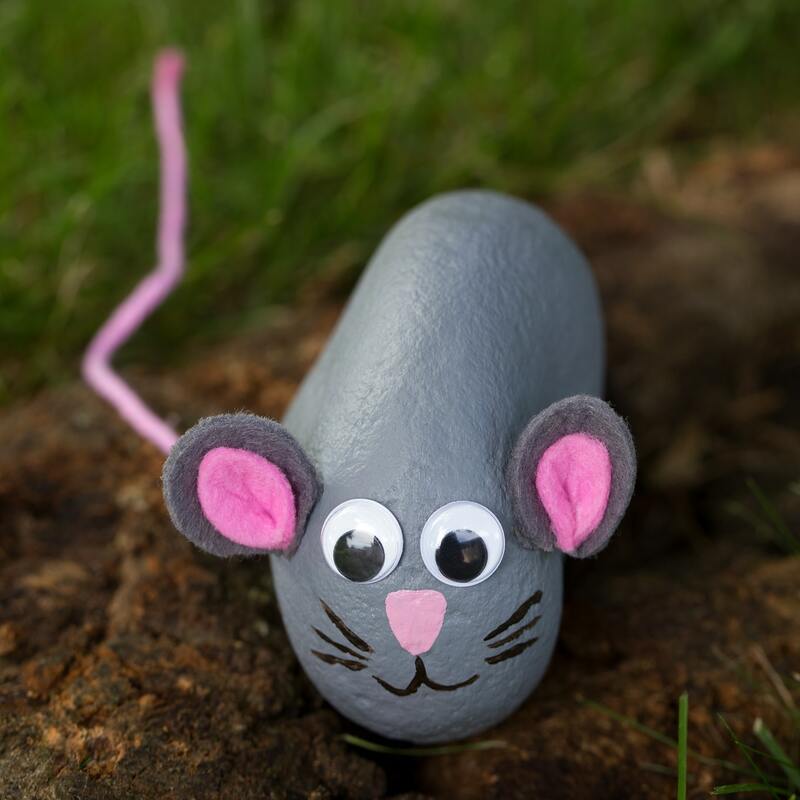 Collect bark, acorns, twigs, and seeds on a nature hunt with the kids. Be sure to collect all items from the forest floor. 2. Gently chip and break the bark into the shape of an owl. 3. 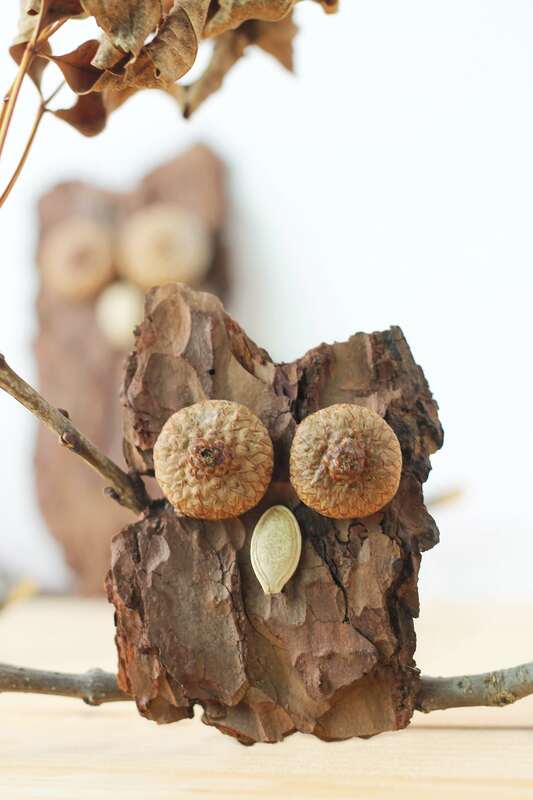 Invite kids to glue 2 acorn caps to the bark to create eyes for their owl. 4. Next, glue a seed under the eyes to make a beak for the owl. 5. 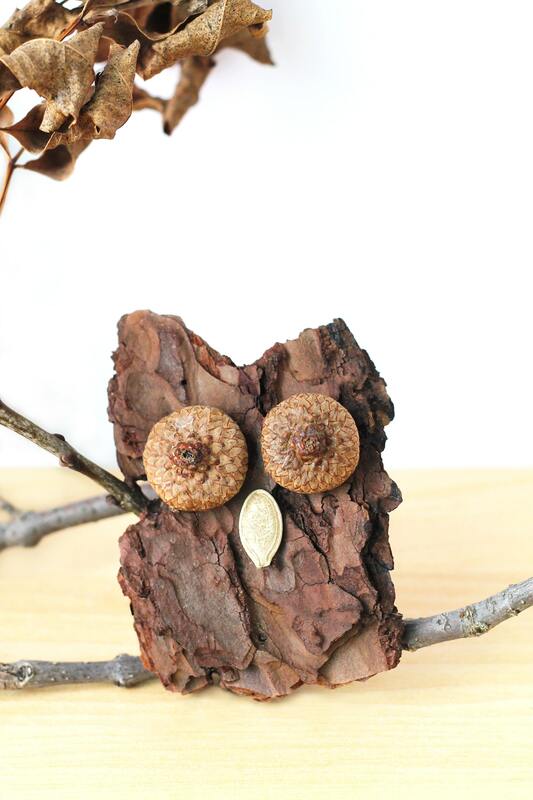 Glue the owl to a leafy branch and display! Isn’t it cute? If you feel like hauling out the paints, kids can also paint their owl! 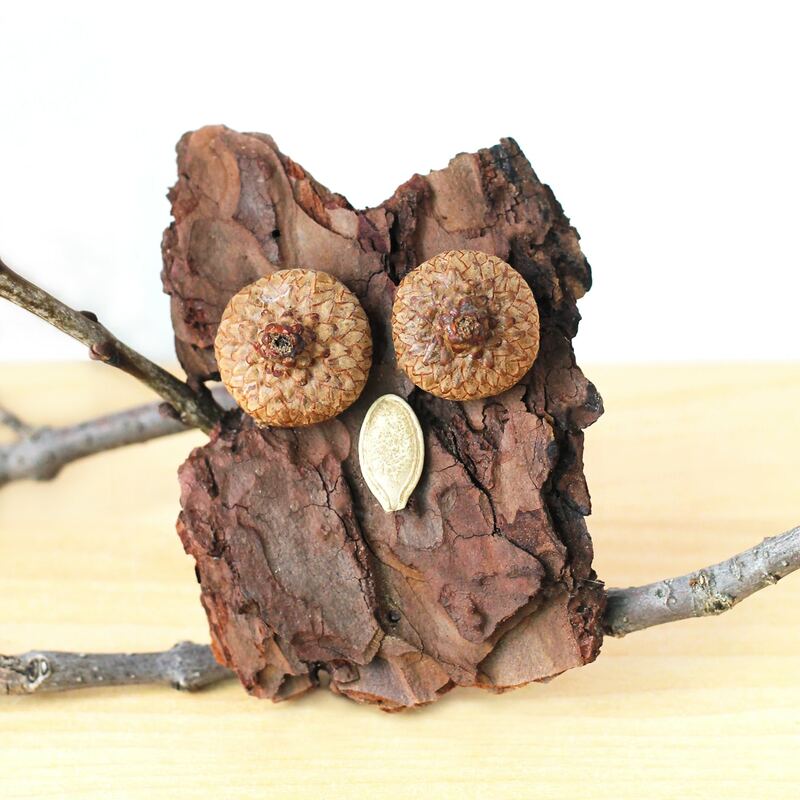 Pair this craft with these fabulous books about owls! 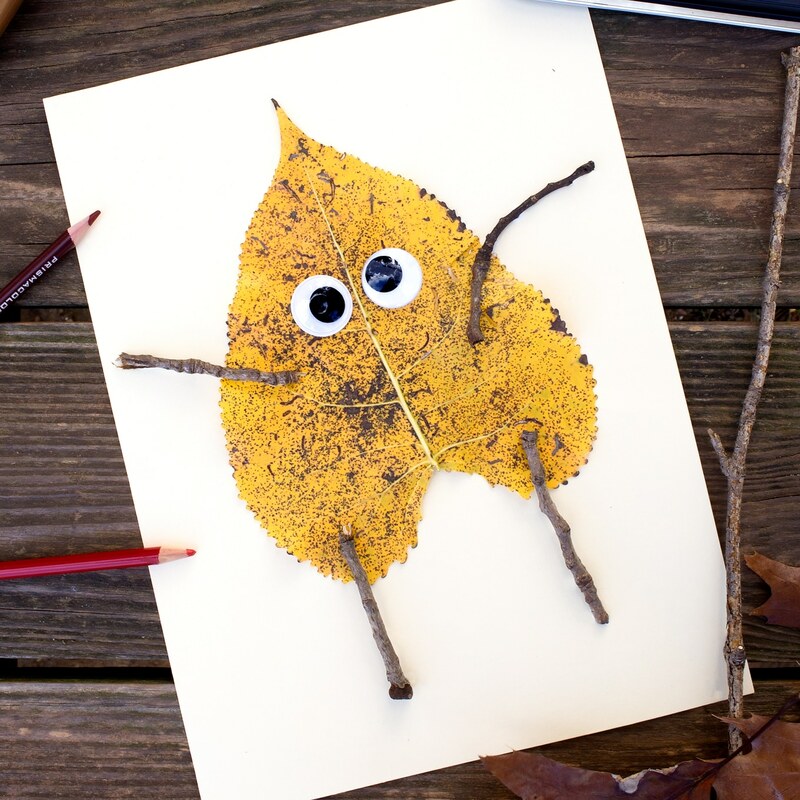 Click the images below to view more creative fall nature crafts for kids. We love owls! Some friends of ours just moved to a new home and they have both barn owls and great horned owls on their property. Sadly, one eats the other – so it will be an adventure! I’ll share this on our BabyAnimalPrints FB page!